A virtual design and construction services firm has built an augmented reality application that uses the Microsoft HoloLens to improve the efficiency of quality control on construction sites. 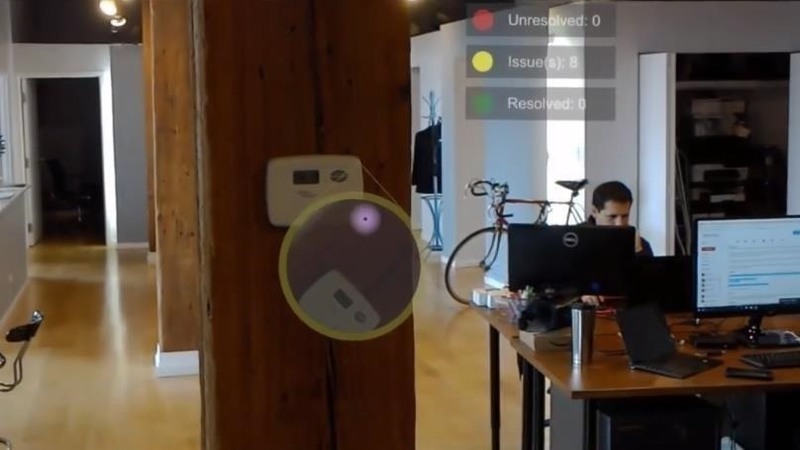 Developed by Chicago-based VIATechnik, Punch-AR modernizes the "punch list," a process used to identify and document quality issues on construction sites. 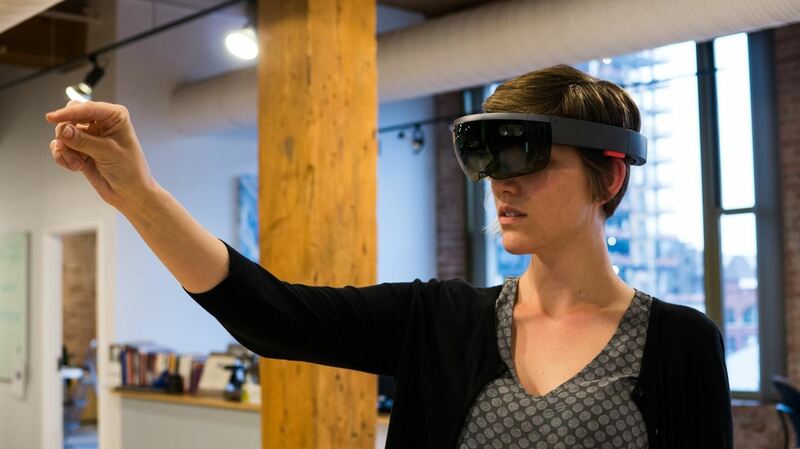 Punch-AR users will be able to record broken items or other construction defects in the field with a HoloLens by saying "picture" or using the pinch gesture. Users will also be able to annotate the issue by dictation to Cortana. Punch-AR uses geolocation data to relate where the defects are located. With the defects recorded, workers will be able to use the data to locate and fix the issues. Upon reinspection with Punch-AR, users will see holograms that show the original state of the defect, allowing them to confirm that the issue has been resolved. "The value in AR lies in spatial data," said Danielle Dy Buncio, President/CEO of VIATechnik, in an interview with Next Reality. "Seeing data in the real world helps you to better understand the data. We're seeing one type of data in a real world context instead of seeing it in a spreadsheet." VIATechnik has yet to determine a timeline for a commercial release, or even a price tag, but Punch-AR is currently in beta testing with several construction firms. According to Buncio, their clients report that the application is one of the more commercially ready applications they have seen so far. A lot of what is being done in AR seems to not really think about real world context. If you don't care about real world context, you should be using VR. [Punch-AR is] better because of the real world context. VIATechnik began working on Punch-AR in the fall of 2016. Influenced by the success of Pokémon GO, the company brainstormed different types of data collected on the job site and how it would look in augmented reality. The punch list became the ideal candidate based on safety, efficiency, and speed to market. While the HoloLens presents a safety risk during construction because it cannot be worn with a hard hat, and because holograms can distract workers in a constantly changing environment, the punch list process occurs after construction is mostly complete. In addition, the way the process is carried out today is cumbersome, and displaying spatial data in a real world context makes the process much more efficient. "We are pretty mindful of building momentum in the industry," said Buncio. "We wanted something that could be used somewhat immediately." And the capabilities of the HoloLens itself allowed the firm to develop the application quickly. As development progresses, VIATechnik envisions applying Punch-AR to other industries. For instance, facilities managers for office buildings, hotels, and the like can use the application to track maintenance issues throughout a structure. For Buncio, her desire to improve the construction industry is practically in her DNA. Born in Chicago, she spent much of her formative years around job sites, as her parents worked in construction. She earned her Bachelors of Science degree in 2004 from Stanford University, where she met her husband, Anton, who holds his Bachelor of Science degree in management science and engineering. Together, they started VIATechnik about five years ago to improve productivity in the industry through new technology. I really wanted to help improve the way the industry works. The industry is pretty slow to adopt technology compared to a lot of other industries. So, our big thing is learning from other industries, seeing what innovations are happening, seeing how other industries are adopting technology, and then helping quickly bring it to construction and helping people find value from that technology. Both of us have always had a passion for technology, a passion for innovation. What other use-cases do you see for this application? How else can AR be used to improve the construction industry? Let us know in the comments.